The Internet never sleeps, which means nearly every ’Net professional can relate to a seemingly endless to-do list. The biggest challenge for ’Net professionals, however, is that it is very easy to get distracted when working online – particularly by things like email and social networks. Fortunately there is technology available to help keep professionals focused and productive all day long. 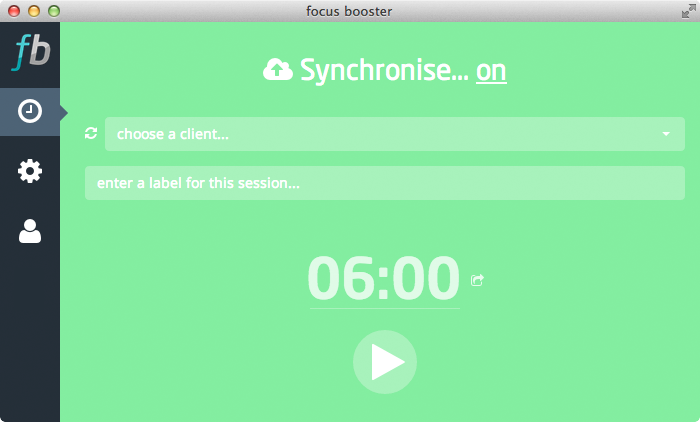 Focus Booster is a digital pomodoro timer that helps users stay focused. With the pomodoro time management technique, users set a timer for 25 minutes and choose a task to focus on. After the 25 minutes have passed, users are required to take a five-minute break before focusing on another task for 25 minutes. Then, between every four sessions users can take a longer break, for either 15 or 20 minutes. Focus Booster helps users stay on task with its mini timer that is available on the desktop. Users also have the ability to change their session and break lengths with Focus Booster to customize their productivity goals. Additional features of Focus Booster include automatic timesheet synchronization, manual time entry, productivity measuring tools, session reporting and more. Toggl is a one-click time tracking platform where users can organize their time by projects, tags or to mark time as “billable.” The platform provides users with an instant overview of their billable time and team progress, as well as enables users to export timesheets and email or print professional reports. It is also important to note that users can access Toggl on their mobile devices, as the company offers apps for iOS and Android. Plus, the platform works offline, so users can leverage the solution at any time. RescueTime is a time management solution that helps users track their daily tasks so they can become more productive. The solution runs securely in the background on desktops and mobile devices, tracks the time users spend on applications and websites, as well as offers details reports based on a user’s activity. In addition, users can set alerts to know when they have spent a certain amount of time on an activity and can log highlights about their daily accomplishments. Users can also block distracting websites with RescueTime. Harvest is a time tracking solution that enables users to monitor the time they spend on daily tasks with just a click. The solution can be used on Web browsers, desktops and mobile devices and provides reports that can be exported to CSV, Excel, Google Drive and more. Plus, Harvest offers invoice integration to make billing accurate and fast. ManicTime is a time management solution for both individuals and teams. The solution offers automatic tracking, accurate timekeeping and timesheets that can be copied into Excel for easy invoices. The solution helps users analyze how they spend their time by recording computer usage and tracking which apps were used and for how long.